nonselective: block β1 and β2 receptors. 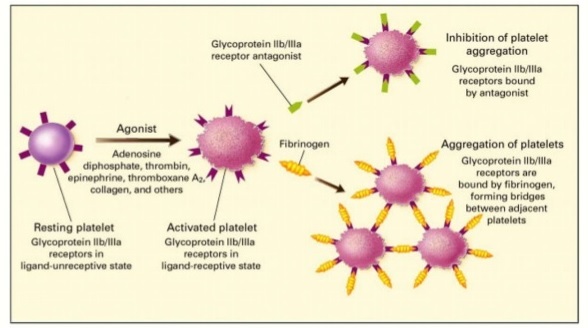 block β1-receptors in low doses, block β2-receptors in higher doses. cause less bradycardia than the other beta-blockers and may cause less coldness of the extremities. Khaled Albouaini, Mohaned Egred. ‘Beta-Blockers Use In Patients With Chronic Obstructive Pulmonary Disease And Concomitant Cardiovascular Conditions’. International Journal of Chronic Obstructive Pulmonary Disease 2.4 (2007): 535. Web. 23 Oct. 2015. As neurocritical care intensivists eagerly await the results of CLEAR III trial, many have started to offer intraventricular tissue plasminogen activator (IV-tPA) on an off-label basis to patients who have intraventricular hemorrahges with high clot burden. This blog reviews the procedure for IV-tPA as used in the CLEAR III trial. Inclusion. The study included the following patients: age 18-80, symptom onset <24h prior to diagnostic CT scan, spontaneous ICH </= 30 cc and IVH obstructing the III and IV ventricles. Patients with primary IVH were included in the study as well. Both the ICH and IVH clot must demonstrate stability. CT scan peformed 6 hours or more after catheter placement must show that the ICH size not differ by </=5cc compared to the previous CT. Also, the width of the lateral ventricle that is affected most by the clot must not increase by 2mm. Catheter tract bleeding must be </= 5cc on CT scan. SBP should be <200 for the 6 hours prior to drug administration. Exclusion. 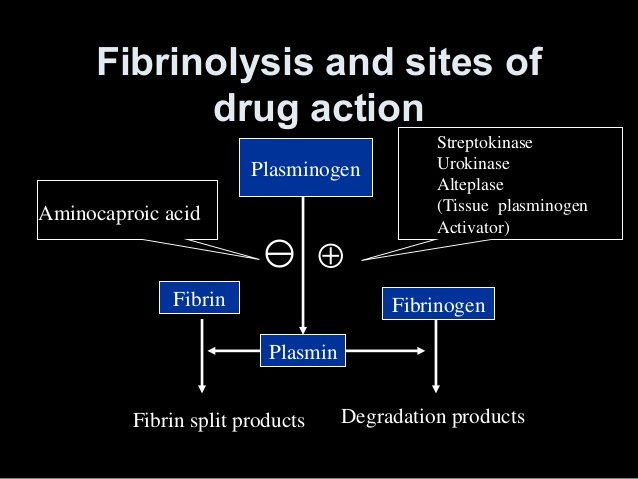 The following patients were excluded from the trial: patients wih suspected aneurysm (untreated), ruptured AVM or tumor, choroid plexus vascular malformatoin or Moyamoya disease, patients with clotting disorders, use of NOACs, platelet <100K, INR <1.4, pregnancy, infratentorial hemorrhage, thalamic bleeds, SAH, ongoing internal bleeding, bleeding at multiple vascular puncture and access sites. Patients with treated aneurysm or AVM were included if treatment occurred at least 3 months before the current onset. Dual Catheters. For patients ith dual catheters, alternate the doses through each catheter every eight hours. Once the III and IV ventricles are open, discontinue dosing via the catheter contralateral to the clot. Continue dosing through the ipsilesional ventricle until ~80% of the intraventricular clot has been removed, IVH-related shift has resolved, or a total of 12 doses have been administered. Maintain ICP <30 and CPP >70mm Hg. Order CT scans on days 1-5 and then 1 and 3 days after the last dose of tPA. The optic nerve sheath, contiguous with brain dura and containing CSF communicating with cerebral subarachnoid components, can be used as a means of indirectly detecting increased ICP. Optic nerve is ontogenetically a part of the CNS. It is surrounded by CSF and dura mater (called the optic nerve sheath or ONS). 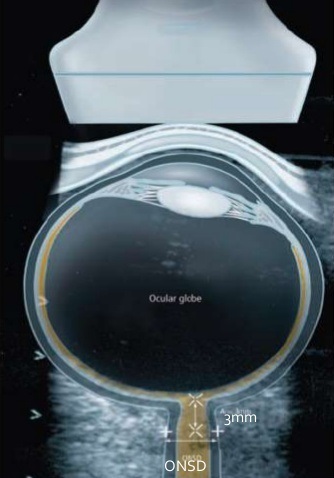 The diameter of the optic nerve sheath (or ONSD) changes with variations in intracranial pressure. Ultrasound measurement of the ONSD is a reliable means of detecting elevated ICP in patients with spontaneous intracerebral hemorrhage. However, ONSD measurements are still not considered as a substitute for invasive ICP monitoring in critical care. 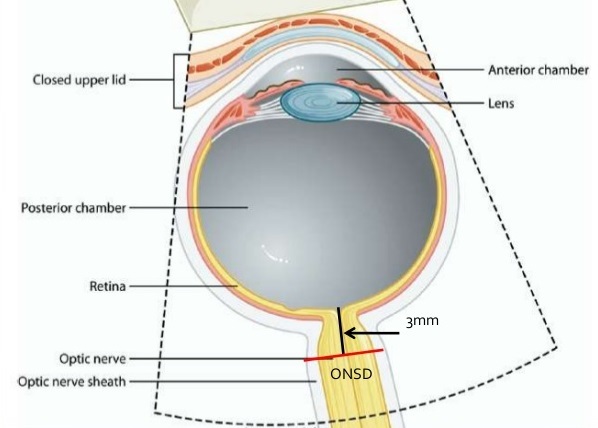 By measuring the anterior part of the optic nerve, specifically 3 mm behind the globe, ONSD can be measured via ultrasound with 5-mm ONSD roughly translating to an ICP of 20. Girisgin, A. S. et al. 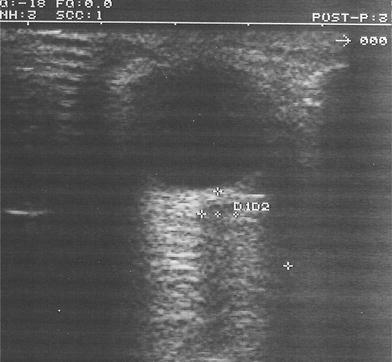 ‘The Role Of Optic Nerve Ultrasonography In The Diagnosis Of Elevated Intracranial Pressure’. Emergency Medicine Journal 24.4 (2007): 251-254. Web. 23 Oct. 2015. Moretti, Riccardo et al. ‘Reliability Of Optic Nerve Ultrasound For The Evaluation Of Patients With Spontaneous Intracranial Hemorrhage’. Neurocritical Care 11.3 (2009): 406-410. Web. 23 Oct. 2015. Roh, David and Soojin Park. “Brain Multimodality Monitoring: Updated Perspectives”. Current Neurology and Neuroscience Reports 16.6 (2016): n. pag. Web. In majority, etiology is not defined = PM-NASAH (Perimesencephalic Non-aneurysmal SAH). abnormal contour of basilar artery observed – small bulge or luminal narrowing – ?intramural hematoma as source of bleed? Uptodate.com,. 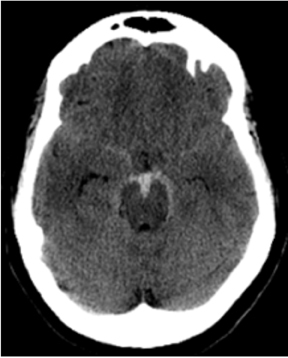 ‘Perimesencephalic Nonaneurysmal Subarachnoid Hemorrhage’. N.p., 2015. Web. 16 Oct. 2015. 5 g bolus followed by 1 g/h for a maximum duration of 48 h.
How does aminocaproic acid work? What do the guidelines say about the use of ACA in SAH? Connolly, E. S. et al. ‘Guidelines For The Management Of Aneurysmal Subarachnoid Hemorrhage: A Guideline For Healthcare Professionals From The American Heart Association/American Stroke Association’. Stroke 43.6 (2012): 1711-1737. Web. 15 Oct. 2015. Foreman, Paul M. et al. 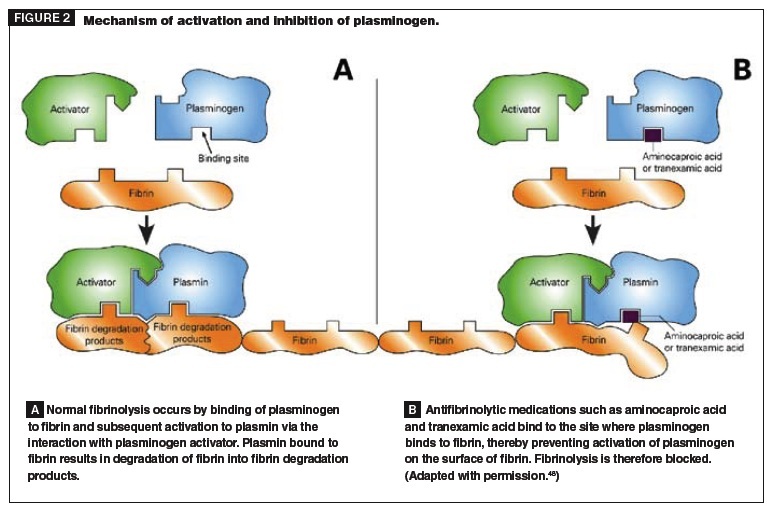 ‘Antifibrinolytic Therapy In Aneurysmal Subarachnoid Hemorrhage Increases The Risk For Deep Venous Thrombosis: A Case–Control Study’. Clinical Neurology and Neurosurgery 139 (2015): 66-69. Web. 15 Oct. 2015. Uptodate.com,. 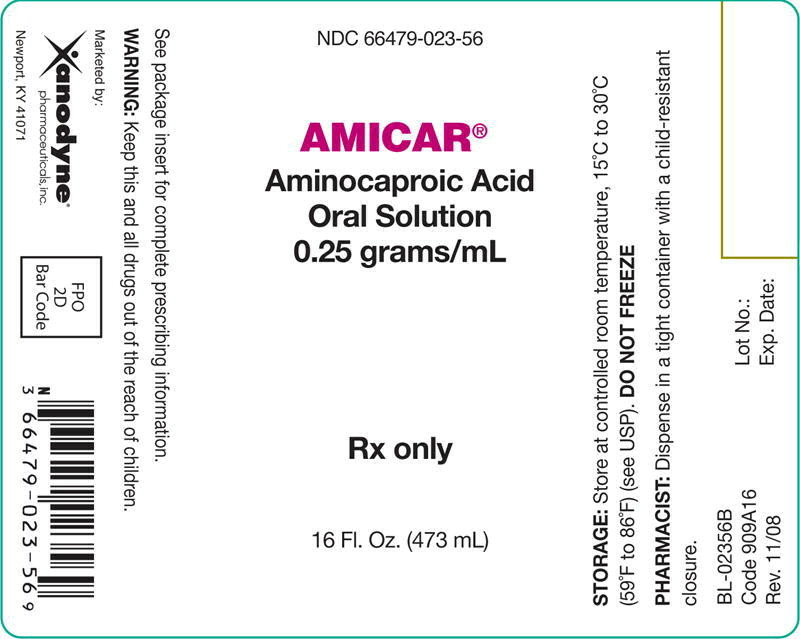 ‘Aminocaproic Acid’. N.p., 2015. Web. 15 Oct. 2015.